If pleasant weather and diverse food and culture are the sorts of things you enjoy in a destination, put Los Angeles, California on your must-go travel bucket list. 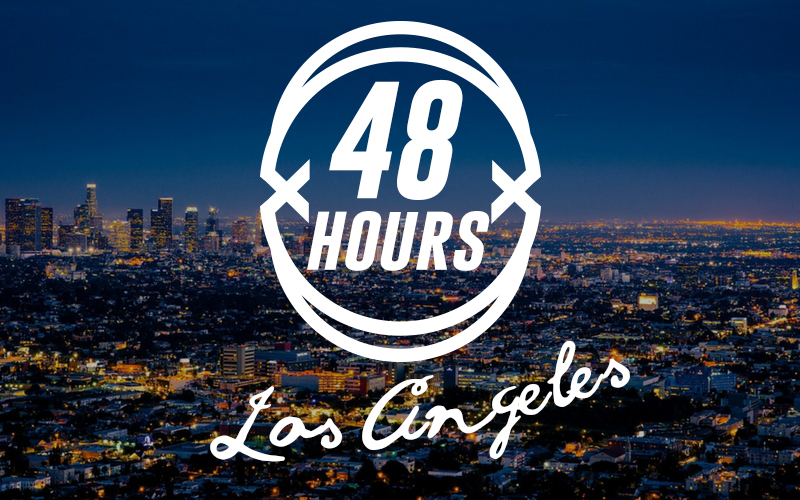 Even if you can only visit L.A. for a weekend, there is a ton of stuff that you can do in just 48 hours. The sprawling city reaches from the San Fernando Valley on its north side all the way south to Long Beach, so each time you visit the City of Angels you can get a different experience. 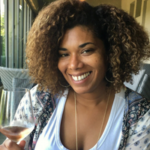 Whether you’re a first-time visitor or a making a return trip, here’s my advice for a fun-filled luxurious weekend in L.A. with a foodie focus. Arrive at LAX airport and make your way to the rental car desk of your choice. Los Angeles is one of the nation’s most sprawling cities, so spending time driving up and down its traffic-filled highways is one of the Catch-22s of enjoying La La Land. Hop in your rented vehicle and take a short five-minute drive down Sepulveda Blvd. to check-in at the Aloft Hotel in nearby El Segundo. Aloft Hotels are known for hip décor, modern-minimalist amenities, and affordable rates—which will leave you more to spend on sight-seeing and dining out. Visit El Segundo Brewery for a craft beer or two. Specializing in West Coast IPA style beers, the brewery is located just 10 minutes from the airport. With its flagship Citra IPA flowing on tap at 7% ABV, plan on calling a taxi, Uber or Lyft for a ride to dinner if you sample several varieties. After day drinking, head to dinner at Manhattan Beach Post. Renowned local Chef David LeFevre has turned a former 1960s post office into a neighborhood gem with his travel-inspired, comfort food dishes like the truffle honey-laced fried chicken. 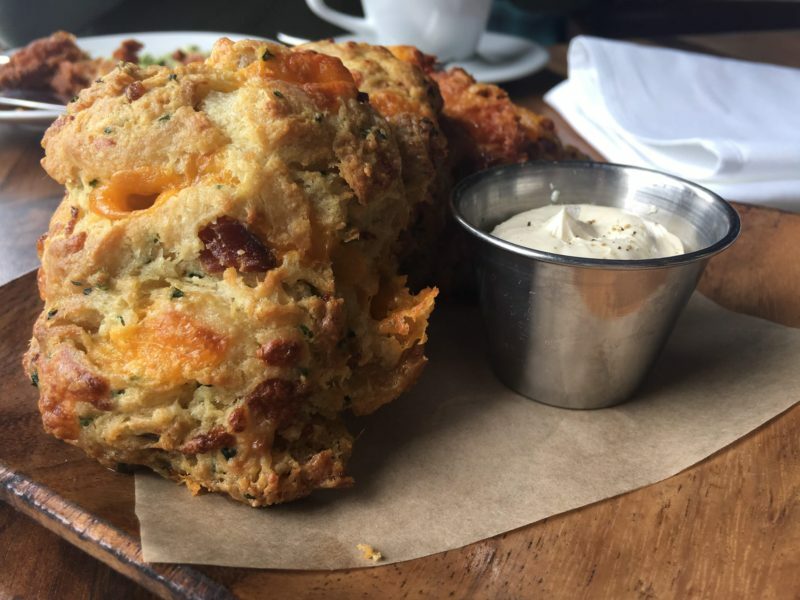 But nothing compares to the massively delicious bacon cheddar buttermilk biscuits that will auto-correct any over-drinking you may have done earlier in the day. Be sure to make a reservation, because this place gets packed. After dinner, take a stroll along Manhattan Beach, which is known for its beautiful, sandy beaches. Get an early start. 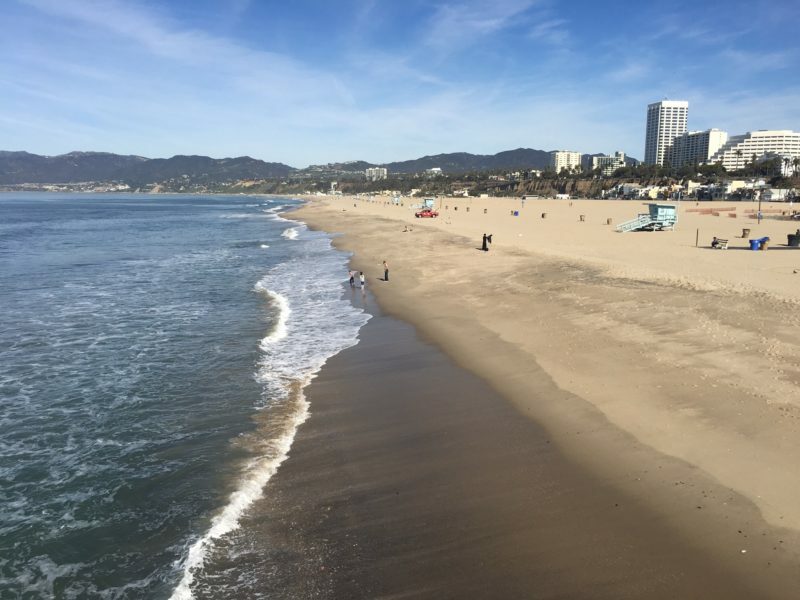 Check-out of the hotel and drive 30 minutes along the scenic coast to Santa Monica. Indulge in a healthy California breakfast like the Santa Monica breakfast, an egg white scramble served with chicken apple sausage and toast, or a beautiful plate of seasonal fruit at FIG Restaurant inside the Fairmont-Miramar Hotel. Keep your eyes open here, you might run into someone famous. Grab your beach towel and spend the rest of the morning hanging along the Santa Monica Pier. In addition to beach games and carnival rides, you can spend hours sitting along the pier people-watching. Or simply lay out at the beach listening to waves crash and soaking up the sun and beautiful ocean views. Pack up the beach bag and grab a late lunch at In-N-Out Burger, one of L.A.’s favorite fast food restaurants. You can get this cult classic any way you like it, but ask the locals for insider tips because there are some off-menu secrets, like “animal style” with a mustard-grilled patty, grilled onions, extra spread and pickles as well as the option to add a “whole grilled onion” to your burger. 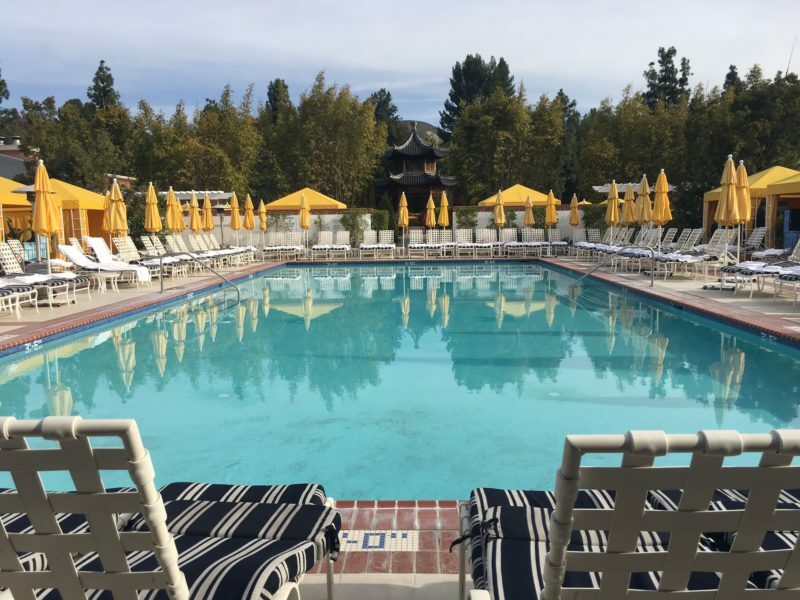 Drive up the Malibu coast along the iconic Pacific Coast Highway and head west through the rolling green hills of Calabasas (say hello to the Kardashians) to Westlake Village to check-in at the luxurious Four Seasons Hotel. After the 45-minute drive, you’ll want to spend the next few hours exploring the five star hotel’s lavish property and enjoying an evening dinner at the on-site, Japanese-inspired, fine-dining seafood restaurant Onyx. Wake up for a morning treatment at Four Seasons Westlake Village’s spa retreat facility that offers a full menu of services as well as complementary amenities like the sauna, whirlpool, state-of the-art gym facility and yoga studio. Afterward, take a dip in the adults-only pool and finish the morning lounging in the Beverly Hills-esque cabanas. Pack your bags and grab a coffee from the hotel’s coffee bar, STIR, before getting your car from the Four Seasons’ valet. You’ll appreciate the caffeine during the hour-long drive to the airport. By this time, you (and your credit cards) will be ready to return home.